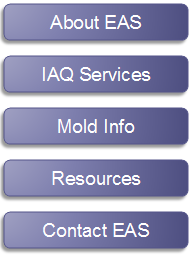 Don't let a contractor do your mold assessment, hire a third party such as EAS. EAS offers total Indoor Environmental Quality consulting solutions throughout Northern California. Services also available in the evening and on the weekend. Please contact our local or one of our regional offices for a free phone consultation and to schedule an appointment.